Noesis is a tool for extracting game assets from a number of games including Duke Nukem Forever and Star Wars: The Force Unleashed.1) Download and run Noesis.exe. 2) Open the game content and locate the .dat files. 3) Double click on a .dat file and you will be prompted to extract it. 4) After the extract is finished, you can browse and preview the .msh files. – Note: You may be prompted to select .skl or .def files, you can click cancel to these messages. 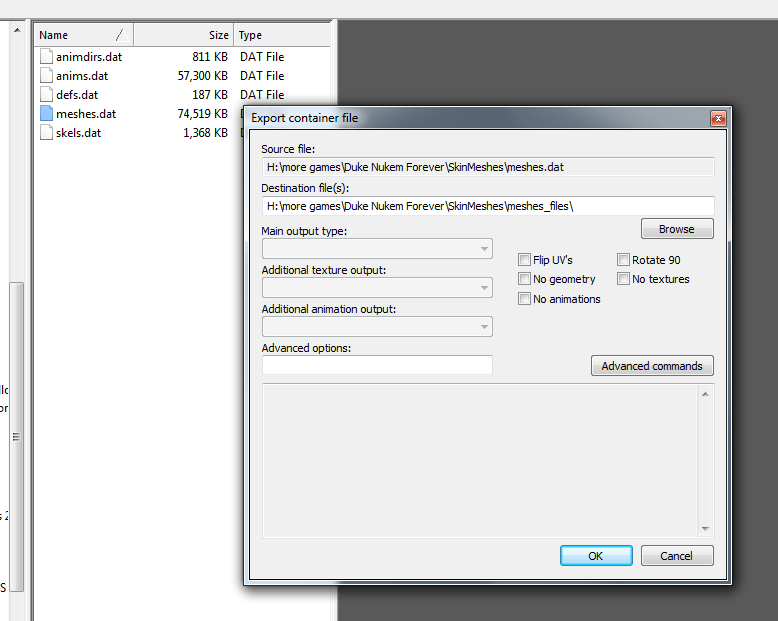 5) The model can now be exported to a number of formats (File > Export). – Most models will not export with textures, you will need to manually find and export them. That’ll give an MTL file which lists the textures. Then just copy the textures to the same directory as the model.